NOTE: The following pages present a detailed historical chronology of the development of social insurance, with particular emphasis on Social Security. 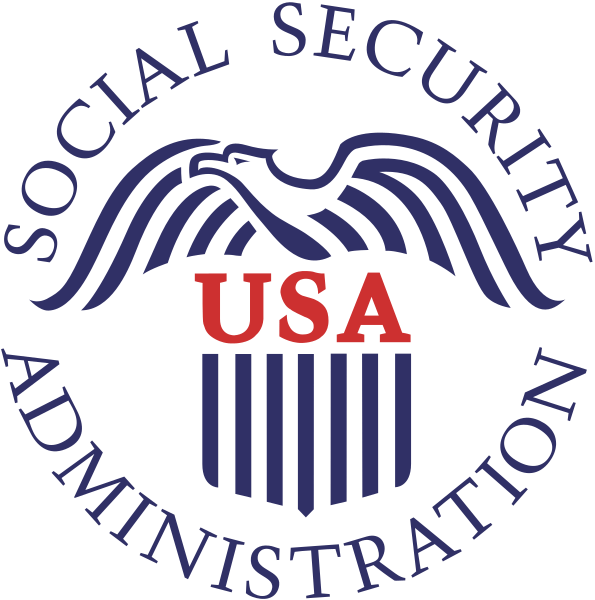 Items are included in this compilation on the basis of their significance for Social Security generally, their importance as precedents, their value in reflecting trends or issues, or their significance in SSA’s administrative history. The information includes legislative events in Social Security and related programs. Our expectation is that this Chronology can be used as a reference tool and finding aid for important dates and events in Social Security’s long history. SPECIAL NOTE: The bulk of this Chronology was compiled over nearly 20 years by Dr. Abe Bortz, the first SSA Historian. We owe a special debt of gratitude to Abe Bortz for this sustained effort. 1900 Spain enacted an accident compensation law. 1901 The Netherlands, Greece and Sweden adopted accident compensation insurance laws. Belgium inaugurated the Ghent system of unemployment insurance, under which subsidies were granted from public funds to trade unions which provided “out of work” benefits for their members. 1902 The first State workmen’s compensation law was enacted in Maryland; it was declared unconstitutional in 1904. 1903 Illinois passed a law authorizing special pensions for the blind. 1905 France established a system of government subsidies to voluntary mutual aid associations offering unemployment benefits to their members. 1905 Workmen’s compensation legislation was defeated in Illinois. 1906 The American Association for Labor Legislation (AALL) was founded. 1907 The first Federal employment service (forerunner of the United States Employment Service) was created in the Bureau of Immigration and Naturalization, Department of Commerce and Labor. 1908 A workmen’s compensation system was established for civilian employees of the Federal Government. 1908 Noncontributory pensions were instituted in Great Britain by the Old-Age Pensions Act. 1909 Credit Unions first acquired legal status in the U.S. when the Massachusetts legislature passed a law providing for the chartering and organization of credit unions. 1909 The first public commission on aging was established in Massachusetts. 1909 A new science, geriatrics, came into being. 1909 Norway introduced a compulsory sickness insurance system. 1909 A Conference on the Care of Dependent Children was held in Washington, D.C. at the invitation of President Theodore Roosevelt. This was the first of the White House Conferences on child welfare. 1909 The first Federal old-age pension bill was introduced in Congress. 1910 Health insurance plans, which offered medical protection in the form of medical care for industrial workers in isolated areas, and disability benefits, were first introduced by commercial and nonprofit organizations. 1910 The first major survey of the economic conditions of the aged was conducted in Massachusetts. 1911 The National Insurance Act was passed in Great Britain. It provided for: 1) An unemployment fund from compulsory contributions by employees and employers, with the government contributing one-third; 2) A national health insurance system the cost of which was also shared by the workers, the employers and the government. 1911 Italy introduced a centralized national compulsory system of insurance for maternity of wage-earning women. 1911 The first State laws for “mothers’ aid” (forerunner of aid to dependent children were enacted in Missouri and Illinois. 1911 The first workmen’s compensation law to be held constitutional was enacted in Wisconsin. 1911 The first contributory system of pensions covering all State employees was established in Massachusetts. December, 1912 A Social Insurance Committee was created by the American Association for Labor Legislation. 1912 The Children’s Bureau was established in the Department of Labor by an act of Congress. Among the functions of this Bureau was the safeguarding of the health of mothers and children. 1912 The first State minimum wage law was enacted by Massachusetts. 1912 The Progressive Party platform called for the protection of home life against the hazards of sickness, irregular employment and old-age through the adoption of a system of social insurance adapted to American use. 1912 The first division of child hygiene was established in a State Department of Health in Louisiana. June, 1913 The American Association for Labor Legislation sponsored the First National Conference on Social Insurance in Chicago, Illinois. 1913 The American Association for Labor Legislation’s Social Insurance Committee issued a Report favoring a State-run compulsory health insurance system. 1913 A national pensions system was introduced in Sweden. 1914 The first State law providing old-age pensions was enacted in Arizona. It abolished almshouses and provided pensions for aged persons, persons incapable of self support because of physical infirmities, and certain mothers with children. It was declared unconstitutional by the State Supreme Court in 1916. 1914 The first text book on geriatrics was published. 1915 The American Association for Labor Legislation and the American Medical Association drafted a “Standard Bill” for compulsory health insurance modeled after German legislation. 1915 The first old-age pension legislation not challenged on the grounds of constitutionality was enacted in the Territory of Alaska. December, 1916 The American Medical Association Insurance Committee, headed by Dr. Alexander Lambert, recommended a compulsory State-run health insurance system. June, 1917 The American Medical Association’s House of Delegates approved a resolution stating the principles to be followed in Government health insurance plans. October, 1917 The War Risk Insurance Act was passed. This legislation set up the first government life insurance program. 1917 The first Federal legislation establishing grant-in-aid provisions for vocational education was enacted. 1917 The first State Department of Welfare was established in Illinois. 1917 A cooperative Federal-State program of cash grants for public health services was inaugurated. November, 1918 California voters defeated a referendum to permit the establishment of a State health insurance plan. 1918 The Employment Service was established as a unit in the Department of Labor to help place workers in vital industries. 1918 The first Federal grants to States for public health services, for prevention and control of venereal diseases were instituted. April, 1919 The New York State Assembly defeated a health insurance bill previously approved by the State Senate. 1919 The International Labor Organization, a League of Nations agency, was established. It was made responsible for dealing with the general subject of Social Security. 1919 John R. Commons and Arthur J. Altmeyer wrote an article, “The Health Insurance Movement in the United States.” This was an appendix to a report on Health Insurance and Old-age Pensions issued by the Ohio Health and Old-age Insurance Commission. 1920 A Civil Service Retirement and Disability Fund was established for Federal employees. 1920 The American Medical Association made its first official declaration of opposition to any compulsory scheme of health insurance controlled by any State or the Federal Government. 1921 The Sheppard-Towner Act was enacted. It provided Federal grants to States to promote maternal and infant welfare and hygiene for a specified number of years. March 5, 1923 Montana’s Old-age Pension Law was enacted. It was the first such State law to withstand the test of constitutionality. 1923 Old-age assistance laws were passed in Pennsylvania and Nevada. They were later declared unconstitutional. 1923 President Harding was unsuccessful in his attempt to establish a Department of Education in Welfare. 1924 Chile adopted the first national compulsory insurance law in the Western Hemisphere. 1925 Old age pension benefits and compulsory insurance for widows and orphans were introduced in Great Britain with the enactment of the Contributory Pensions Act of 1925. 1926 The Japanese National Health Insurance Law of 1922 became operative. 1927 The International Conference of National Unions of Mutual Benefit Societies and Sickness Insurance Funds was established at Brussels. 1927 The American Association for Old-age Security was established by Abraham Epstein. 1927 The Federal Longshoremen’s and Harbor Workers’ Compensation Act set up a workmen’s compensation program for certain maritime and related industries workers who could not be covered under State programs. 1927 The Committee on the Costs of Medical Care (CCMC) was “organized to study the economic aspects of the prevention and care of sickness, including the adequacy, availability. 1929 State laws for workmen’s compensation were in effect in all but four States.